Yonas Hagos came to the United States at 10 from a refugee camp in Sudan. 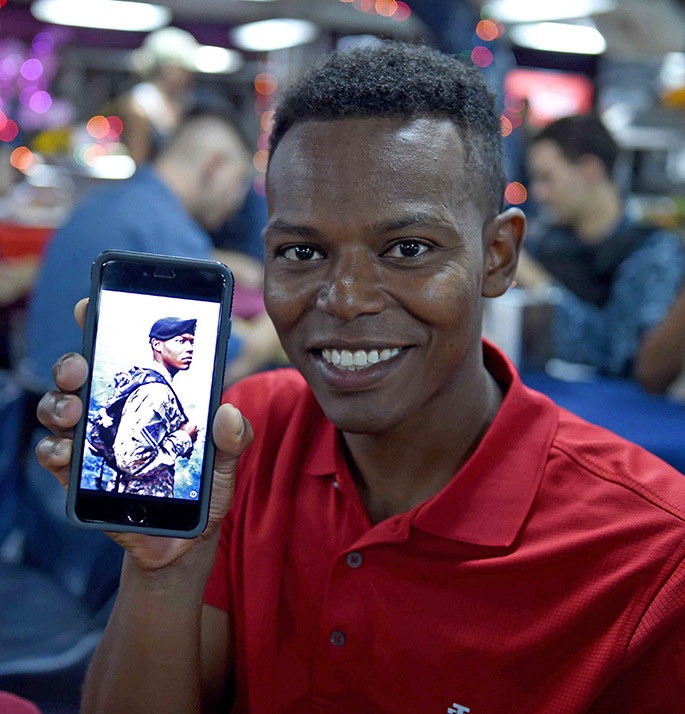 After 9/11, Yonas joined the Army, because he “wanted to pay back America for what it had given [him]”. Before he could complete his first tour of duty, Yonas was seriously injured by a rocket propelled grenade. Pronounced dead on the scene, Yonas was revived at a field hospital, going on to receive a Purple Heart. Now fully recovered, he has become a successful entrepreneur, husband and father!